KOBE Japan interacting with the students. Candace taking a selfie with the students from Fukiai High School, KOBE Japan. Candace and Charles Philibert-Thiboutot ASICS 1500 meter runner from Canada with Fukiai High School track team KOBE, Japan. 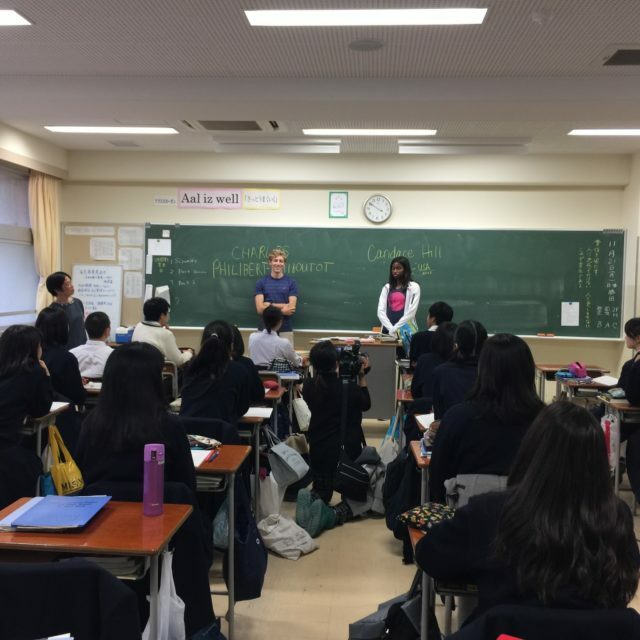 Candace answering questions for the Fukiai High School track team sprinters KOBE, Japan.